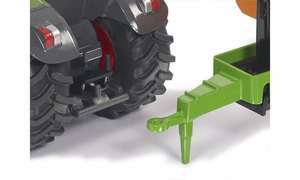 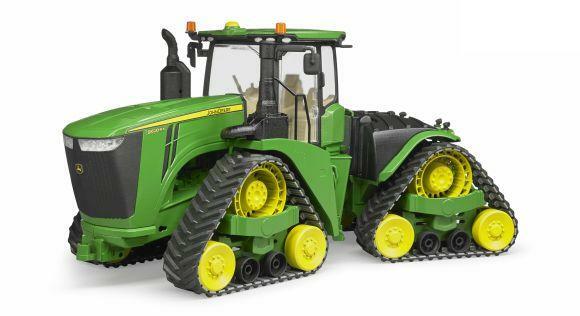 This is what prototypical agricultural machinery teams look like: the strapping Fendt tractor pulls the intensely coloured hook lift chassis with a low building materials hollow into the 1:50 farmer scale programme. 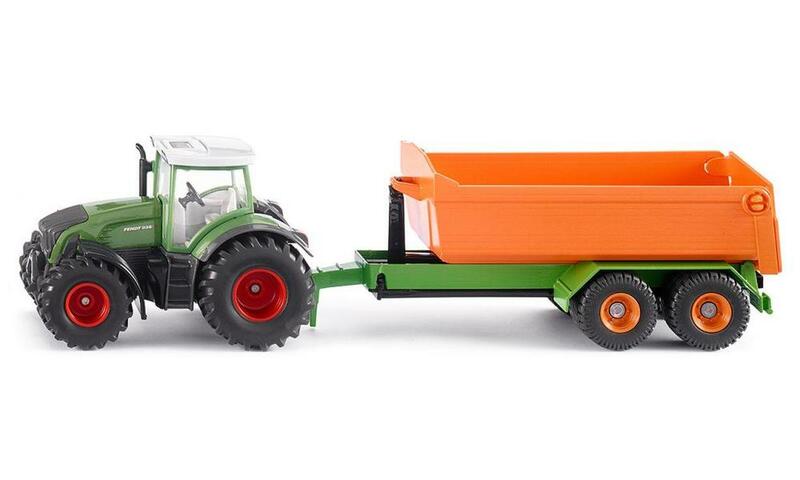 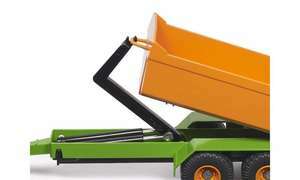 The beefy tractor with a flexible front loader and scoop has a front and rear trailer coupling as well as a detachable roof. 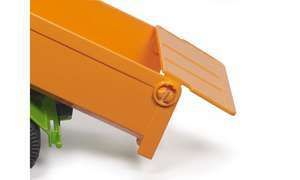 The hollow can be let off and pulled up from the chassis true to the original. The hollow is characteristically open at the rear.